To get more information on the Meniett Device that use, click the following link.This treatment gave me my life back & doesn’t have any severe side effects that surgery or antibiotics injections have. Been using off & on since 2002. Thank you for this blog. My wife suffers from Meniere’s. is there any progress with regard to a cure or is this just a disease that requires constant monitoring. Sorry to hear you wife has Meniere’s. I don’t know if you both read my story. While there is still no cure I can say my Meniere’s is controlled but it was a challange. I was diagnosed in 1998 but after several doctors & 14hr severe attacks every other day I went to Shands Medical Center at the University of Florida. That is where I was prescribed the Meniett Device. It took time but it gave me my life back. I have to keep a tube in my ear drum or after a month the spinning starts up again. 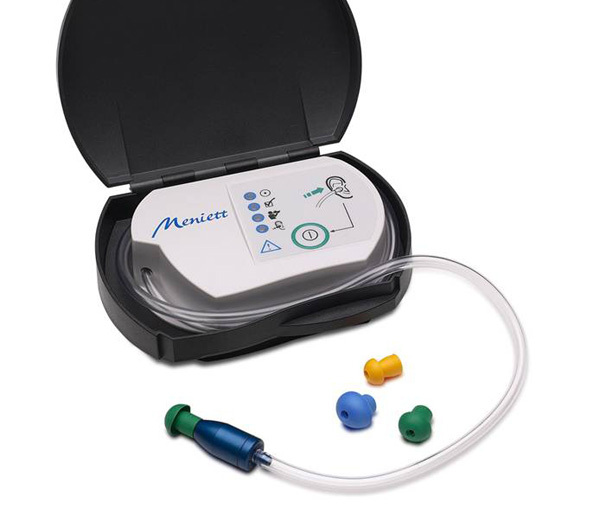 Can’t remember when I used the Meniett device last. Low salt, low caffiene, limited beef help triggers. One day I realized God had a plan for me. I suffered so bad with Meniere’s so I can help others like your wife. When I gave my fear to Christ I had peace. Now there are those tough days but I stay strong reminding myself of God’s plan. I would love to know more about your wife’s Meniere’s. Hopefully I can give a few things to try. You can contact me anytime on Facebook messenger. Also I run 2 Meniere’s FB Support groups which you, her or both of you can join. Just click request to join & answer the 3 questions. That helps me know what people are not spam accounts.